Here are a few of my before, during and after game-day tips. • Exercise before heading out to the party. Check out my Game Day G-Fit Circuit workout below. You will feel amazing and kick off that metabolism to help burn off any extra food you may indulge in. 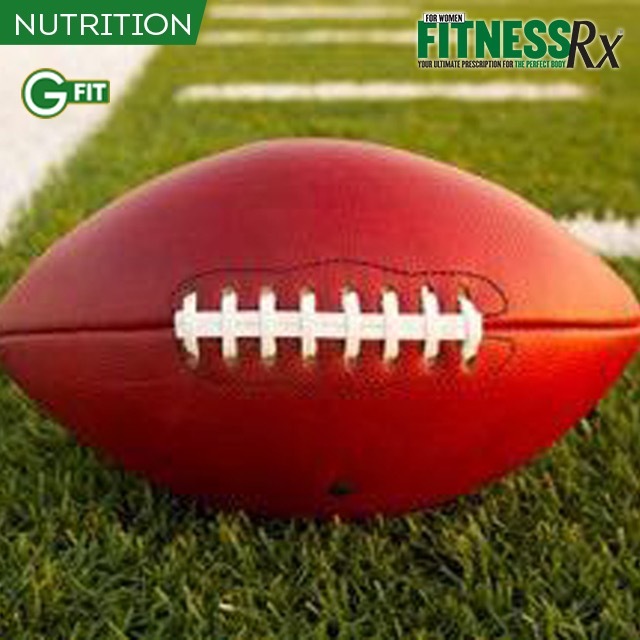 • Have a good breakfast that morning so you won’t be starving and tempted to overindulge during the game. A bowl of oatmeal and a protein shake is a perfect way to start your game day. • Eat before you head out the door. You never want to enter a party starving. When you do, it is more likely that you will find yourself digging into the chip bowl. Have a protein shake before leaving the house. • Always bring a lighter dish like a grilled veggie platter or healthy dip, so you know you will have a clean side dish to munch on. • If you’re throwing the party, serve some healthy choices along with other options so that everyone has something to pick from. My favorites are grilled veggies, a shrimp platter, hummus or black bean dip and veggie sticks, lox, nuts, guacamole and healthy crackers or baked chips. 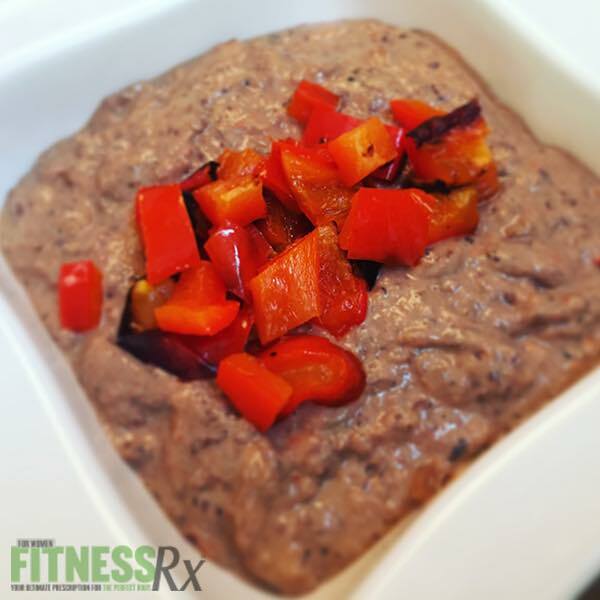 Check out my healthy Roasted Red Pepper Black Bean Dip as a great dip to serve or bring to a party. • Challenge your fellow partygoers. Every time your least favorite team scores a touchdown, do 10 push-ups— people will love this (or maybe not … but you can try). • Make sure your water bottle is close by. Have a sip every time a pass or a first down is completed. • Make good choices— look for grilled, not fried, lean proteins like fish or chicken. Load up on those veggies. • Come PREPARED with extra “clean food.” You never know how long the game will last or how long the party will continue after the game. Bring a bag of almonds and protein powder that you can easily mix with water. • Ditch the beer. There are bound to be alcoholic beverages offered; it’s best to stick with clear cocktails such as vodka and soda water with a lemon or lime or a glass of wine. It is best to avoid pre-made drink mixes, which are loaded with unnecessary calories and sugars. Regardless of whether you choose to have a cocktail, you want to be sure to drink plenty of water throughout the day. Aim for at least three-quarters of a gallon on game day! • Even if you splurged a little, get back on track with your healthy eating and exercise plan. • Pack your gym bag to take with you to work and prepare your healthy meals for the day, so it is much easier for you to get on track. It is completely possible to have a healthy Super Bowl “Funday.” It isn’t about sitting back and being a party pooper, but rather being prepared, making smart choices and doing the best you can. I hope this offers you a ton of ideas, suggestions and tips to allow for a fun, exciting and healthy Super Bowl. Enjoy the game! Place bell peppers on cookie sheet and boil on both sides until soft and slightly browned. Remove from oven and set aside to cool. Place all other ingredients into a blender and blend until smooth. Blend in roasted red bell peppers, leaving some for garnish. Pour into serving dish, garnish and enjoy!